Matthew McGrady is a design and technology teacher at the American Community School in Abu Dhabi. He teaches kids from kindergarten through to 12th grade. His role is an innovative one, in that he has the freedom to engage the students in any number of projects related to art, design, media or manufacturing. This approach allows the kids to work across disciplines and dip into different aspects of the making process in order to enhance their learning. The American Community School uses the FormBox as a tool to expand the capabilities of the school workshop. Matthew McGrady plans projects which use the FormBox with other maker machines to get the kids engaged and excited about the making process. The students use the FormBox to transform standard 3D prints into objects made with materials that they can actually use. Budget: As in any institution, budgeting in schools can be contentious, especially with regards the untested. It can be hard to justify the implementation of new technology to a board. Resources: The American School has a larger piece of industrial vacuum forming equipment that is rarely used; and there is not as great a resource bank for finding inspirational projects to make as there is with the FormBox. Time: Making something on a 3D printer can be incredibly time-consuming unless it is very small. Lack of variety: 3D printing has been a transformational technology, however most of the more affordable desktop machines are still restricted to plastics. HOW DID THE FORMBOX SOLVE THOSE PROBLEMS? Budget: The FormBox comes with three projects ready to make straight out of the box. Matthew could create these immediately and show them to budget holders to put their minds at rest. Resources: Online resources available from Mayku’s website provide constant food for thought. While the online community of makers on Facebook and Instagram offers a readymade support network for Matthew’s future projects. Time: The FormBox makes things fast, allowing every student the chance to use the machine regularly. Simplicity of use means that Matthew can switch the machine on and leave it unattended while the students use it. The FormBox’s compact size also means it can easily be moved around. 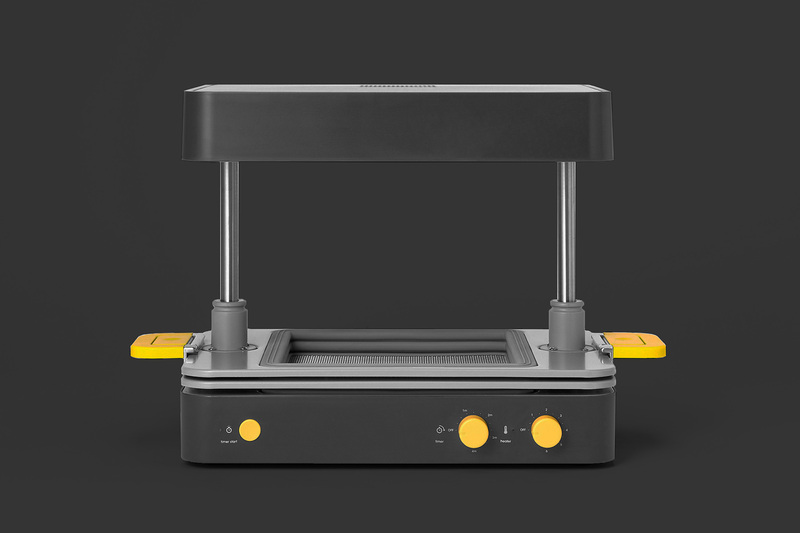 Lack of variety: With the FormBox, 3D printed objects can be transformed using a variety of materials, allowing for greater exploration of material quality and experimentation. Matthew’s students were able to expand what they could achieve in a workshop setting.